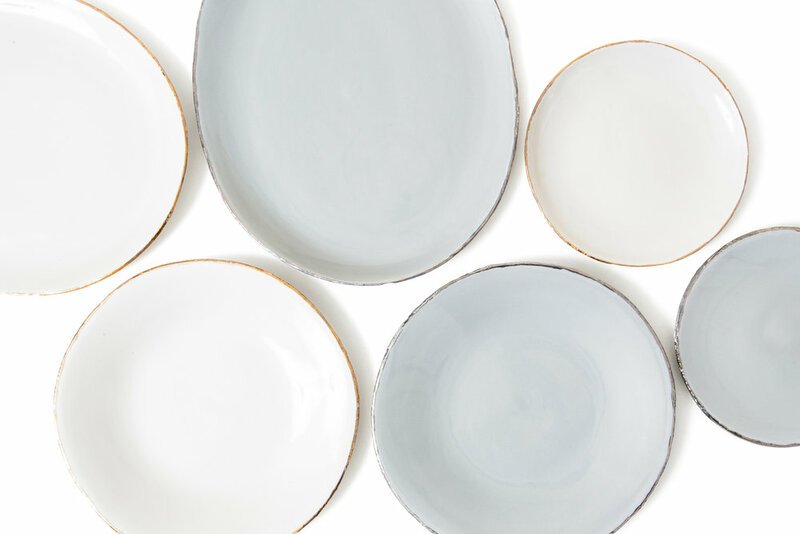 Handcast porcelain dinnerware featuring a decayed finish along the edge of every piece, highlighted with 22k yellow or white gold. Fully glazed inside and out. Available in ivory and grey. Handwash recommended.